Bad Schönbrunn - At the beginning of 2019, 45 participants of the 'Formation Gathering' met at the Lassalle-Haus in Bad Schönbrunn, Switzerland, from 2 to 5 January. Formation Gathering' is the meeting of the Jesuits still in formation from the countries of the future Central European Province (ECE: Germany, Austria, Switzerland and Lithuania). 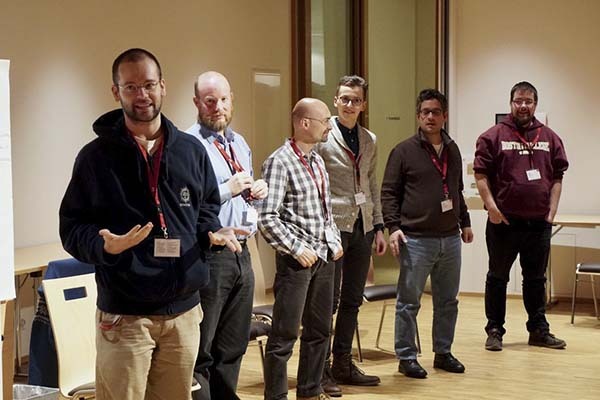 Since many young Jesuits are involved in youth work or work there, the meeting in Switzerland was about the Youth Synod and its consequences for the Jesuits in the four provinces. In order not to start with vague future scenarios but with the concrete present, it was the Jesuits currently working with young people who gave testimony about their experiences. 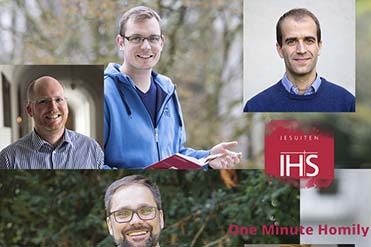 What was striking is the broad variety of how Jesuits are engaged in working with young adults: at University and in school chaplaincy, in associations of Catholic students (KSJ) and in charismatic movements of young adults. 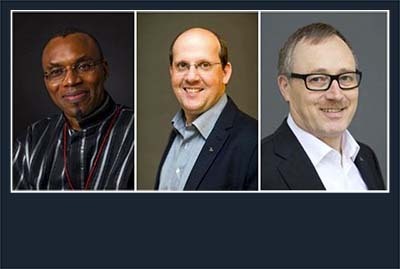 From all these areas Martin Föhn SJ (HEL), Sebastian Maly SJ (GER), Arndt Gysler SJ (GER) and Beat Altenbach SJ (HEL) shared their experiences. They encouraged to accept all the ways youth are living their faith today and at the same time to help with Ignatian ways of pastoral care where possible and necessary. The longing for development in silence and in the security of spiritually shaped communities seems unbroken. The Youth Synod was approached in two ways: first, by a reading session of some text extracts from the Synod’s final document; second, by the reports of their participants: The Auxiliary Bishop Alain de Raemy (Geneva, Lausanne, Fribourg), the youth chaplain Claude Bachmann (Lucerne) and Bernd Hagenkord SJ as director of the press office of the Youth Synod. Encouraging and sobering résumés were spoken, but above all there was the consensus: The Youth Synod should not be regarded as concluded, but as a prelude to an ongoing process of renewal of pastoral care, which not only works for, but especially with the young people on changing our lives in this world. Rahel Kölbener, chairwoman of the worship movement "Adoray" in St. Gallen, also emphasized this missionary perspective. She knows from her own experience that young adults are openly searching for ways of expressing and deepening their faith. Andreas Schalbetter SJ, chaplain of the University of Lucerne, showed us what possibilities there are to help students in their spiritual research. It was the first part of our excursion to Lucerne, followed by a guided tour through the Jesuit Church by “Living Stones”: Students accompany tourists – in this case, also young Jesuits! – explaining the meaning of art and architecture of the church, thereby opening up access to the faith traditions contained therein. After a visit to the room of silence in the University of Lucerne and the rooms of “horizonte“ (“horizons”, the name of the university chaplaincy) and a mass with the four provincials, the day ended with an amusing variety evening in the Lassalle House, which the Jesuits themselves designed. We concluded by a session with information on the trends in Jesuit Formation and looked ahead to the Formation Gathering 2020 in Prizren (Kosovo) which will be prepared by the newly elected ECE JIF committee. Before saying goodbye, the participants celebrated Mass with the newly ordained priests from Hungary, Lithuania and Germany, followed by an individual blessing - not least for everything that the still young year has in store. 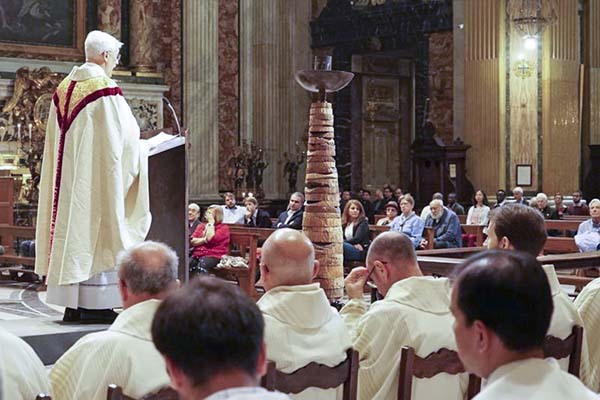 On Saturday, November 3, the Superior General of the Society of Jesus, Father Arturo Sosa, celebrated the Eucharist in the Church of Il Gesù in Rome, during which two Jesuits, Dominik Markl for the Austrian Province and Fabrizio Fabrizi for the Southern European Province, made their solemn vows. Father General recalled that Father Rupert Mayer, whose liturgical feast was celebrated on this day, had been touched by the love of God and had entered into a friendship with Jesus. Although the life of this German Jesuit, a leading figure in the fight against National Socialism, was difficult, his commitment to following Christ led him on a path of happiness. On September 8th four companions made their first vows in Loyola: Lucas Alcañiz (Madrid, 30 years); Luis Argila (Barcelona, ​​36); Alejandro Escoda (Barcelona, ​​26) and Alejandro Toro (Los Santos de Maimona, Badajoz, 21). On September 10 five young men made their first vows in the Society of Jesus in Nuremberg after a two-year novitiate period and thus bound themselves to the Order for their whole lives with the promise of full commitment for others. For the German Province Lukas Kraus SJ and Jonas Linz SJ made the vows, for the Lithuanian Province Donatas Kuzmickas SJ, for the Hungarian Province Árpád Tóth SJ and for the Austrian Province Gerald Baumgartner SJ. September 15 Giacomo, Cornel, Janez, Piero and Andrei have pronounced their First Vows in the Church of the Gesù of Genoa in the EUM province. Ahead of the upcoming EU Heads of state meeting in Salzburg, Jesuits in Africa and Europe express concern based on original research. Johannes Siebner SJ (Provincial of the German Jesuit Province), Agbonkhianmeghe Orobator SJ (President of the Jesuit Conference of Africa and Madagascar - JCAM), Bernhard Bürgler SJ (Provincial of the Austrian Jesuit Province) were among many of the signatories of a joint letter titled "Flows of migrants, flows of money", a petition for justice. They protest against any narrative depicting migrants as a threat to Europe’s stability and prosperity, the treatment of migration from Africa as a criminal offence ("illegal migration"). Rather than going tough on symptoms, they argue, there is need to deal with the underlying root causes for those migratory movements, e.g. illicit financial flows, which prevent African countries from developing. “Currently there is more money leaving Africa in illicit financial flows through aggressive tax evasion and money laundering, than is entering Africa in combined developmental aid and foreign direct investment. If Europe would support African governments in curbing those outflows, African states could secure much more funds for investing in infrastructure, education, and healthcare. This would, in the long run, keep Africans in Africa and ultimately curb illegal migration,” says Fr Agbonkhianmeghe E. Orobator SJ, president of the Jesuit Conference of Africa and Madagascar (JCAM). In the fight against illegal migration, Europe and Africa need more cooperation at various policy levels. The Jesuit Provincials of Germany and Austria, Frs Johannes Siebner and Bernhard Bürgler add: “We perceive a lot of mutual benefit in developing and deepening relationships, for example, those based on a fairer trade system and exchange of technology versus one-way natural resources extraction or even balancing the demographic decline in Europe with demographic growth in Africa. Europe and Africa are in fact bound together as signatories to the Sustainable Development Goals (SDGs), the Paris Climate Accord, to the forthcoming Global Compact on Migration and several other accords. All this has to be transferred into pragmatic and binding political and legal instruments for mutual benefit. We, Jesuits, are willing to help build bridges so that this will come about. 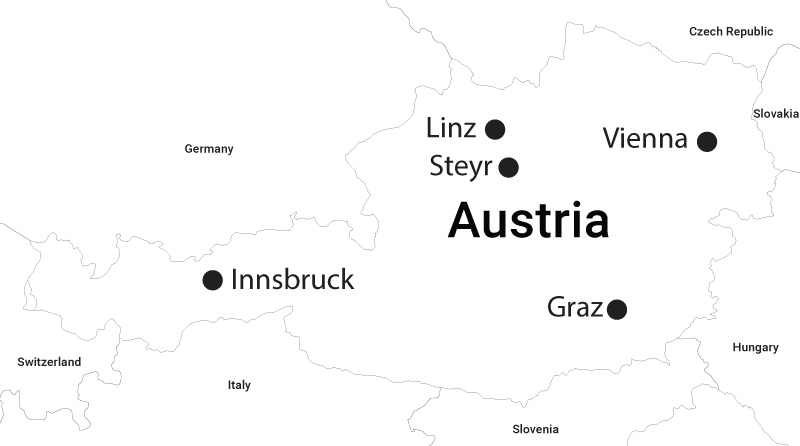 These are topics worth discussing at the forthcoming informal EU Summit in Salzburg; not border fortification, abandonment of the ‘Sophia’ mission, the closing of harbours, deportations or establishment of regional reception centers in North Africa.” So far, no reply has been given by the Austrian government. Today, 18th September, ahead of the informal EU-Summit in Salzburg, the Jesuits went public on their initiative with a press release. Read the full letter and the backup-factsheet. The Symposium of the Austrian Province of the Society of Jesus (April 3 to 6, 2018) got the theme "Central Europe - Our mission as Jesuits". After the official welcome by Fr. Robert Deinhammer, Fr. Provinzial Bernhard Bürgler and Fr. Christian Marte informed about the current state of access to the Province ECE (Eastern and Central Europe). Then we exchanged views in small groups and gave a summary of our requests in plenary. To 48 fellow companions of the Austrian Province (including our two novices! 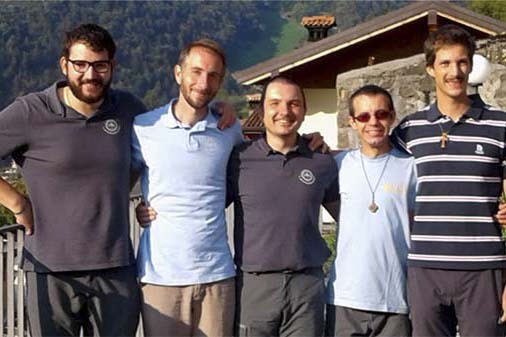 ), 3 from the German Province (GER) and six studying Jesuits in Innsbruck from various other provinces joined the confreres. Through their experiences in their home provinces, some of which have already gone through unification processes, they brought with them additional perspectives. The lecture of the ambassador Dr. phil. Johannes Wimmer on "Societal Developments, Historical Sensitivities, Political Challenges in Jesuit Central Europe" made it clear on Wednesday that the political events of countries such as Lithuania, Latvia, Switzerland and Hungary are much less present in the Austrian media than the ones of Germany. In the "Café of the Future" we once again reflected in small groups on possible apostolic priorities of the new Province of ECE. The “Gouter” on Wednesday evening included profound thoughts of Gerhard Polt, a confusing comet story by Otto Schenk, the most amusing table talks of the community Vienna Lainz as well as an advertisement of Krumpendorf's Strandbaddirektor, who personally moderated the evening and gave us an insight into his increasing acquaintance with the peculiarities of the Viennese language allowed, which are sometimes "zan krenreibn" for him. The Jesuit "Kombi-Chor", newly founded by Benjamin Furthner for the occasion, complemented the contributions musically. A highlight was the trip to Hungary on Thursday. Since our two Provinces ASR and HUN were celebrating their symposium at the same time, almost all the fellow companions of the two Provinces were present at this meeting. At the beginning, the Hungarian and Austrian Provincials, supported by other fellow companions, presented their Provinces. Provincial Bernhard Bürgler and Father Christian Marte allowed their presentation by sweetening Mozartkugeln sweeten. After the delicious lunch we went on with a tour of the Cathedral of Györ, in which bishop Vilmos Apor is buried in a representative marble tomb. Its importance to the population of Győr and Hungary was previously unknown to many of us. After a prayer, Fr. Provinzial laid down a flower wreath at the grave of the Blessed Bishop. With a celebration of the Eucharist in the former Jesuit Church of Györs, we ended this special "Hungarian Day" together. On Friday morning Father Provinzial announced some new destinations according to the "Status of the Province of ASR", which was partly accompanied by an impressed murmur ("Oohh") in the ranks. He thanked the fellow companions who had received a new destination for their readiness and availability, as well as Gernot Wisser, Thomas Neulinger, Robert Deinhammer, Christian Marte and Klaus Schweiggl for the preparation of the symposium. In the evaluation, mostly positive feedback on the design and theme of the symposium was raised. Following the Provincial Symposium, all "pre-tertiates" met for the first time from Friday afternoon until Saturday noon together with the Provincial. A joint walk in the Lainzer Tiergarten as well as an intensive exchange were the focus of this first meeting, which led to a stronger bond among the younger fellow companions and the home province, especially for those who study and work abroad.